so, I am really stoked to play POE2. I love POE 1 and everything in it and I am glad that I can help crowdfunding a sequel. Even with the decision to play with a party of 5 instead of 6 I am on board with now (was against it when I first read the announcement but I decided to trust Obsidian that it will be a better experience). I am really sad to say that I absolutly despise the watercolor-style portraits, if they stay the same which they are right now in update 4 (really strong word, I know). I dont know why, but I love the detailed and colorful portraits in BG1/2 and POE1. I never had a problem with the fact that only a fraction of the npcs had a individual portrait. I really try to like the waterstyle-portraits but they just doesnt work for me at all (assuming they are exactly looking like in update 4). Are those the same portraits for the recruitable npcs? It would be strange to have two different types of portraits for npcs (and/or main char) but I really dont want those watercolor-style portraits for my party. I guess it would be okay for me if they are only for non-recruitable-characters (I just waiting for someone to throw the words "wait for a mod" at me). But if they use the POE1-style portraits for all recruitable-characters and the watercolor-style for every other, i am 100% onboard with the decision and the stretch goal! And how do you like the portraits? Like i said, I really wish I would like the Portraits but I am a sucker for those detailed POE1/BG/BG2 portraits. At least from the way they are presented, these water color portraits are only for non-companion NPCs who you can speak to in the world. 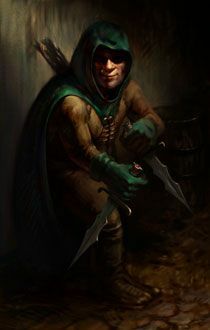 "First, we would like to create unique portraits for every quest-giving NPC across the entire game." Reads to me as it wouldn't be joinable companions or the PC, but a way to identify Joan Questgiver from Jane Questgiver across the street. But I could be wrong, of course. Well if that is true I am fine with the decision because i make myself no illusion of how expensive it is to create just one portrait in the style they have done before. That is probably the best way to give some merchants/quest npcs/enemies a "face" (even if I dont like the portraits ). Would be interesting to see how two different style of portraits fits the aesthetical look of the game! They look fantastic. And given that these are not for the party but for dozens of NPCs in the gameworld, this is a good mix of ease-of-drawing and excellent looks. Feargus confirmed on FIG that the watercolor portraits are only for dialogues. Companions and PC will use the same style of portrait as the first game (and they will bring back those from POE1). I don't like the watercolor portraits either. On topic, I really like the artstyle but I hope they change the background. Anyway, I'll wait to see them in-game to judge. Edited by Rorschach, 31 January 2017 - 11:32 AM. If they are just for minor NPC's, quest givers, or vendors, it doesn't bother me. 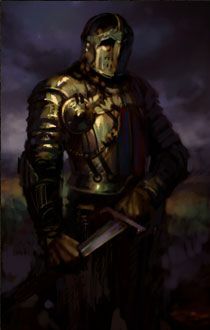 If the "Irenicus" of the game shows up with one of these portraits I would be pissed however. That makes me really happy! Also it is a good idea to include all portraits from POE1. That means there is a much bigger pool of portraits to choose from. Yeah, those IWD portraits are pretty amazing too. It would be difficult for me to choose between those and those from BG. Maybe if they show a video how it will look like in the game sometime in the future i will change my opinion. The point is I can really understand why they would go with easier to create portraits. I thought they look really cool. ​I recall some mention of the portraits being different in dialogue (I think?). I really liked the way they did it in Tyranny (Still of the characters 3D model, in different positions), are these portraits going to have some similar function/expression? Edited by Osvir, 31 January 2017 - 11:47 AM. Of course, the big hand drawn portraits are beautiful and all, but creating my own portrait in character creation by that same system...? I wouldn't mind it one bit. ​I just hope that Player portraits and VIP character portraits blend well with this style. I guess we can take PoE as an example. Only a few characters had portraits. Now, think of the same situation, only characters that gave quests and didn't have a portrait now they'll have this. I don't think main characters will have a different style. Every painted portrait also has a watercolor equivalent that is used in dialogues and scripted interactions. I totally agree. I really hope Kaz is still doing the portraits for the main characters of the game. His work in the first game was stellar. For the minor characters around the isles to have less polished portraits is cool with me. It adds a touch of personality to people on da street! This means it applies to PC's, Companions and other VIP's as well, right? If it applies to PCs what happens when you have a custom portrait? Can you import a custom watercolor or do you get a blank head or...? I guess it's the same case than BG with different size portraits. I gues you'll be able to change both your portraits since they are different files.